Today, Dentsu Aegis Network announces the full US deployment of M1™, the 100 percent people-based insights, planning, activation and measurement platform created by Merkle. 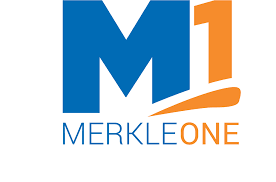 Following Dentsu Aegis Network’s acquisition of Merkle in 2016, M1™ will now sit as a central global resource that will serve all of the network’s agency brands. The deployment of the M1™ platform in the US is the first phase of realizing the group’s vision that all planning and activation will ultimately be people-based and underpinned by anonymized real people data. 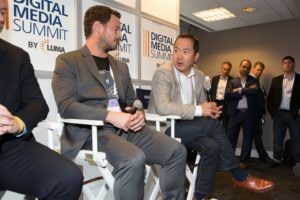 It will capitalize on the increasing scale of global addressable media opportunities and the industry-wide desire for better accountability of media reach and impact. In development for over two years, M1™ is the industry’s only media platform that leverages a persistent anonymized ID on every adult in the US population, combined with over 1000 data attributes, integrated directly with the premium publisher and media ecosystem. M1™ leverages DataSource™, a compiled database of 242 million anonymized individuals based on actual name, address and/or e-mail address. For each unique ID, M1™ provides proprietary insights on more than 1,000 demographic, behavioral and motivational attributes from over 30 sources including the Dentsu Aegis Network’s industry leading Consumer Connection Survey. The M1™ ID can be matched with clients’ first-party CRM data through its accredited PII on-boarding safe haven, enabling Dentsu Aegis agencies to enhance clients understanding of their existing customers and prospects. Another key element of M1™’s unique value proposition is the Publisher Addressable Marketplace (“PAM”) which enables a two-way, cookie-less ID sync between M1™ and media owners. This enables the industry’s highest standard of targeting and measurement based on known people. This standard of matching on authenticated users directly with publishers via guaranteed and programmatic channels gives clients lift in performance, virtually eliminates ad fraud, and addresses brand safety concerns with access to premium inventory. With reach of over 225 million known, authenticated individuals, PAM has the largest truly people-based reach of any platform in the US. As a result, the PAM marketplace continues to attract top media partners including Pandora, AOL, and CBS. To ensure M1™ is a platform fully accessible across the network, Dentsu Aegis Network has appointed Merkle Chief Product and Data Officer John Lee, as President of M1™, globally. He will oversee the development and rollout of M1™, dual reporting to David Williams, CEO Merkle, and John Murray, President, Amplifi Global. Lee oversaw the development of M1™ at Merkle and will continue to steward its growth while overseeing its US and global rollout. He will lead the M1™ global team accessible to all Dentsu Aegis Network agencies and clients. Following the US, an M1™ global rollout plan is underway, with the UK to launch in 2017 and the continued global rollout to kick off in 2018. To date, more than 20 Dentsu Aegis clients are already piloting M1™ campaigns, and the group anticipates all media planning and activation in the US will become addressable via M1™ by 2018. In previous campaigns, typical results from marketers using M1™ have seen 20% improvement in performance, 25% improvement in unique audience reach, with the added benefit that 100% of the spend is reaching the intended audience (e.g. real people vs. proxies) helping to address industry issues with ad fraud.